The Sea Acres coastal rainforest community is the largest and most diverse in the region. The forest runs right down to the beach, so you can enjoy the stillness and beauty or the roar of the surf. 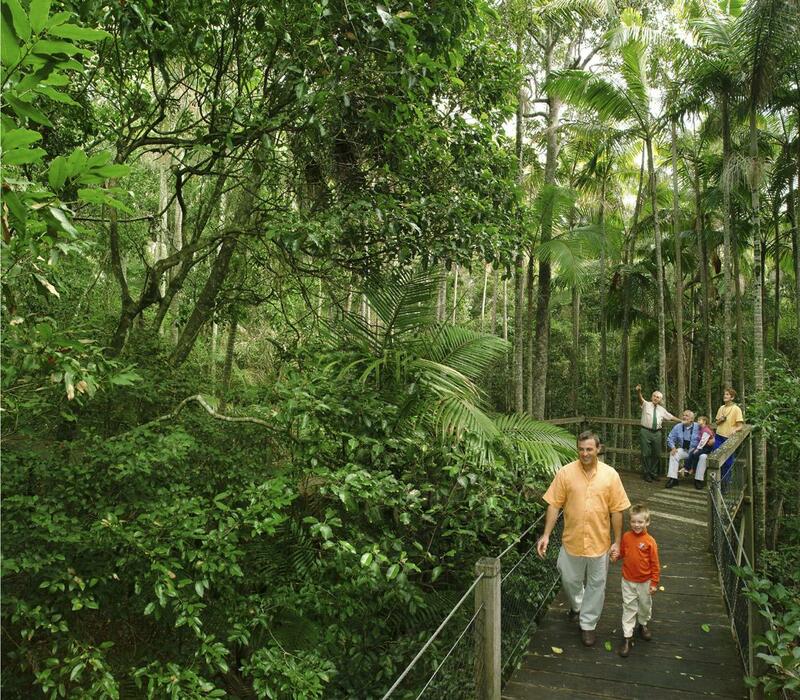 The rainforest centre offers boardwalk tours, a lecture theatre, ecology display, and a shop which sells a range of books, posters, clothing and gifts (there is an entry fee to the boardwalk). 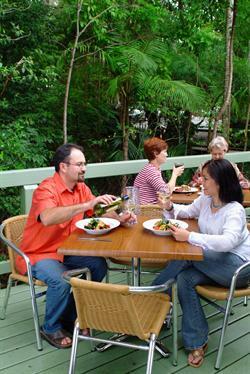 Enjoy morning or afternoon tea or a delicious lunch in pleasant leafy surroundings in the renowned Rainforest Cafe.